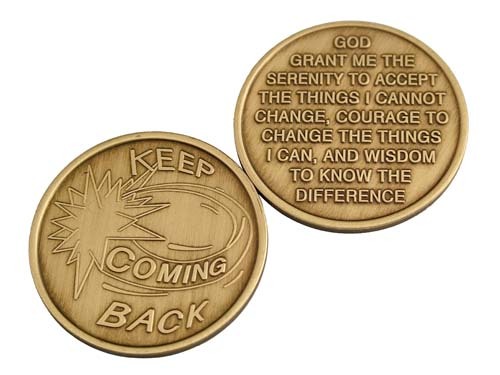 This "Keep Coming Back" medallion has the Serenity Prayer on the reverse side, too. 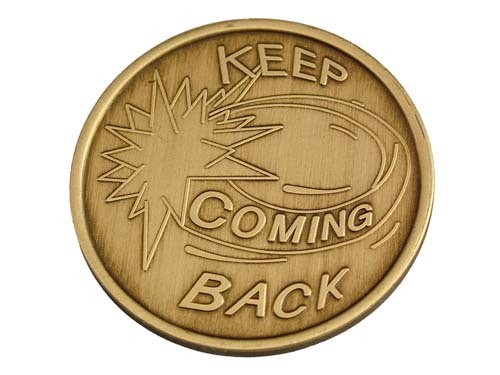 A lovely keepsake. We ordered the medallions to give to new members who join our group: Steps to Serenity. We were very pleased with the quality of this product. The graphics are great; they feel substantial in your hand or pocket; and, the price was reasonable. 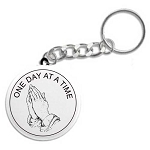 We feel that this gift will encourage new members to KEEP COMING BACK because it really does "work if you work it", and that they are welcome.